Hollywood Wax Museum, from the series "Zero Energy Experimental Pile (Z.E.E.P.)" Human Fate and World Powers, from the series "Zero Energy Experimental Pile (Z.E.E.P.)" Pacific Standard Time, from the series "Zero Energy Experimental Pile (Z.E.E.P.)" We are currently offering a small portion of our permanent collection online as we continue our digitization process. Please check back frequently to see new objects as they are published online. All contents © 2016 Santa Barbara Museum of Art. All rights reserved. Please note that any use of content downloaded or printed from this site is limited to non-commercial personal or educational use, including “fair use” as defined by U.S. copyright laws. 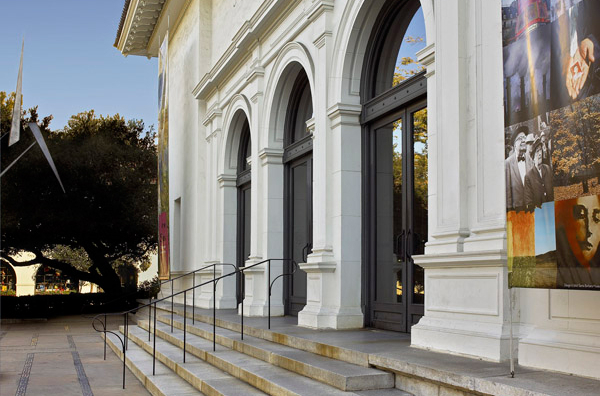 © 2019 Santa Barbara Museum of Art - A tax exempt 501c(3) nonprofit organization - Charity Number 95-1664122.